Home / Recipe / A moist vanilla pound cake with tender crumbs. Yummy! A moist vanilla pound cake with tender crumbs. Yummy! It’s a cake I’ve been making for years, but wanted to tweak and it’s finally ready! It really is a very soft and moist pound cake. I recently shared it with a friend who wanted to make a vanilla cake for her daughter’s birthday and they loved it! I am so excited to share this recipe for a Moist and Fluffy Vanilla Pound Cake with you today! ☞Grease and Flour the baking pan and set aside. ☞Mix the Flour, Baking powder and nutmeg in a Bowl and set aside as well. ☞Cream the butter and Sugar in the bowl of a stand mixer fitted with the paddle attachment on a medium speed and be sure to scrape down the sides of the bowl. Cream for 5 to 10 minutes. ☞Add the Eggs one at a time. Cream each Egg together and make sure it is well incorporated into the mixture before you add the next Egg. ☞Add the Vanilla and cream it together. ☞Finally, add the flour and milk alternately. Start with the flour and end with the flour until everything is well combined. ☞Pour the batter into the baking pan. Give it a couple of solid bangs on the countertop to release any air bubbles. ☞Transfer it to the oven. Bake at 350°F for 1 hr to 1 hr 40 mins until it’s golden or until a toothpick inserted in the center of the cake comes out clean. ☞Transfer to a wire rack to cool. Serve and enjoy! ⏩Try not to over mix the Cake batter, otherwise, it will result in a dense and chewy Cake. 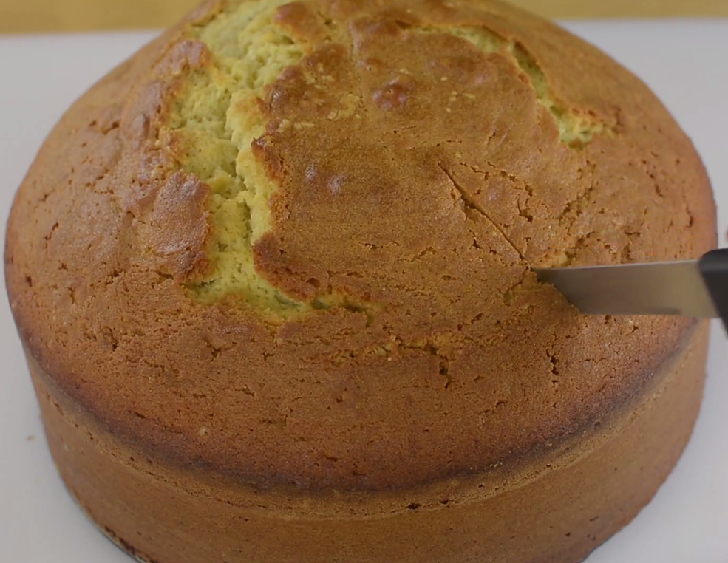 ⏩Don’t worry about the crack on top of this cake, it is common with pound cakes. ⏩You can store this Cake for up to 3 days at room temperature or keep in the freezer for up to 2 months.